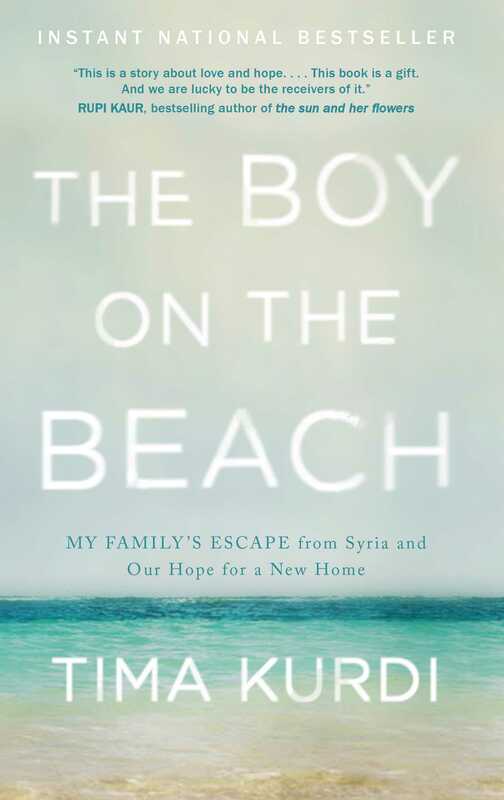 In The Boy on the Beach, Tima recounts her idyllic childhood in Syria, where she grew up with her brother Abdullah and other siblings in a tight-knit family. A strong-willed, independent woman, Tima studied to be a hairdresser and had dreams of seeing the world. At twenty-two, she emigrated to Canada, but much of her family remained in Damascus. Life as a single mother and immigrant in a new country wasn’t always easy, and Tima recounts with heart-wrenching honesty the anguish of being torn between a new home and the world she’d left behind. As Tima struggled to adapt to life in a new land, war overtook her homeland. Caught in the crosshairs of civil war, her family risked everything and fled their homes. Tima worked tirelessly to help them find safety, but their journey was far from easy. Thwarted by politics, hounded by violence, and separated by vast distances, the Kurdis encountered setbacks at every turn, but they never gave up hope. And when tragedy struck, Tima suddenly found herself thrust onto the world stage as an advocate for refugees everywhere, a role for which she had never prepared but that allowed her to give voice to those who didn’t have an opportunity to speak for themselves. From the jasmine-scented neighbourhoods of Damascus before the war to the streets of Aleppo during it, to the refugee camps of Europe and the leafy suburbs of Vancouver, The Boy on the Beach is one family’s story of love, loss, and the persistent search for safe harbour in a devastating time of war. "An impassioned plea for the rights of refugees through the heartbreaking account of one family’s unimaginable loss. . . . elegant and deeply moving . . . This is an accomplished and searing political memoir—one woman’s poignant and pointed eulogy for a nephew who deserved more than passing notoriety as the 'boy on the beach.'" "Kurdi’s intimate and tragic account of her family’s escape from civil war-torn Syria illuminates the human element of the refugee crisis. . . . This is a moving tale of displacement, tragedy, and family."